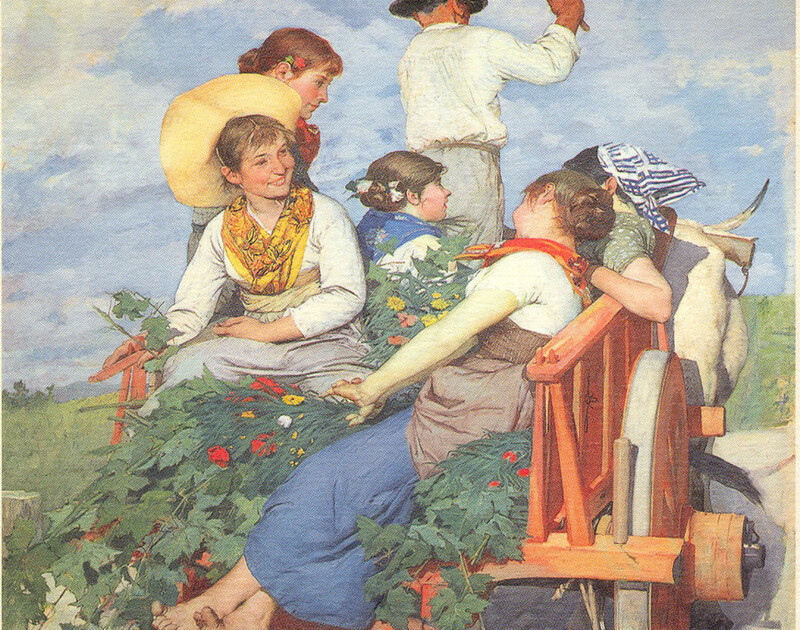 A story that began in 1385. A historical link with the Chianti Classico region. A place where tradition and innovation coexist in perfect harmony. 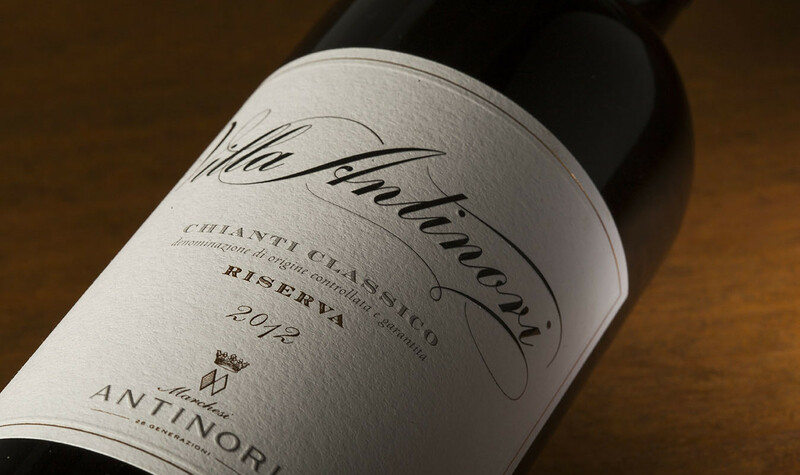 A winery that reveals the past, present and future of the Antinori family. 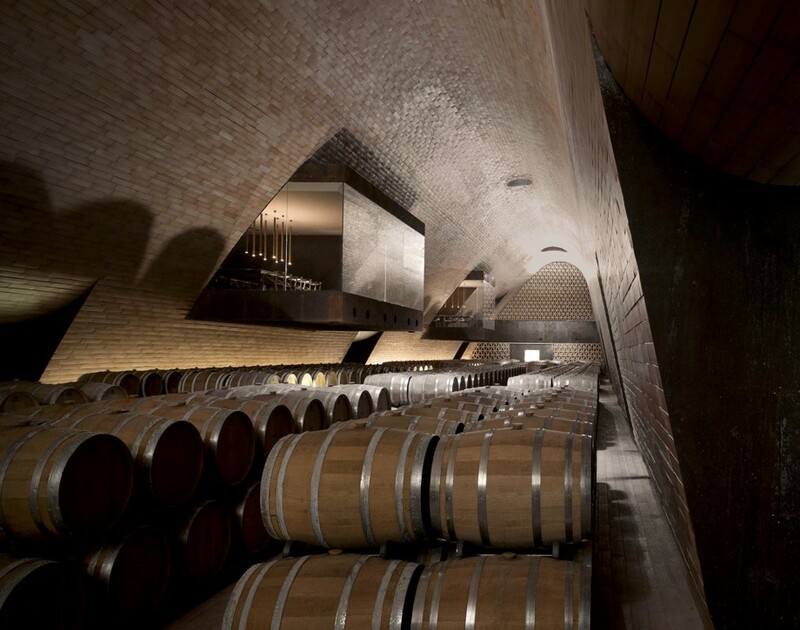 The winery was inaugurated in October 2012 affirming the historical bond between the Antinori family and their ancestral territory. The winery was built entirely with locally sourced materials, respectful of the surrounding environment and the Tuscan landscape. 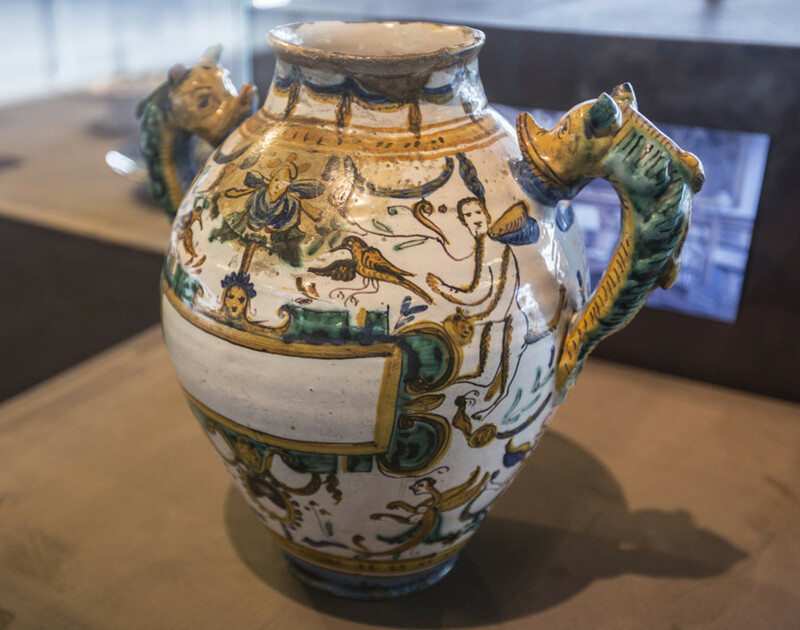 It represents an important milestone in the history of the Antinori family. 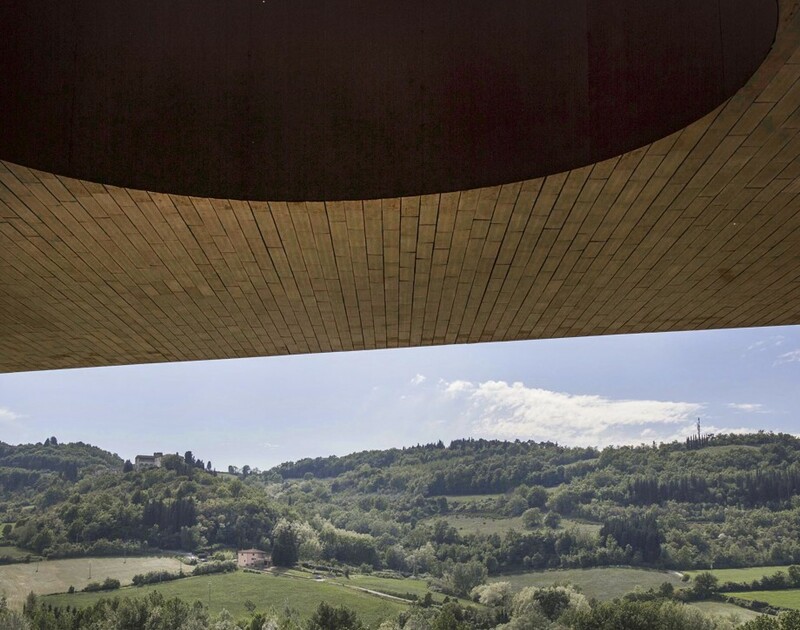 For the first time in 26 generations, the Antinori’s inaugurated a new winery designed to welcome wine enthusiasts inviting them to come into direct contact with their production philosophy based on passion, patience and the continual pursuit of high quality. The winery overlooks the countryside from a terrace surrounded by vineyards planted with Chianti Classico’s most typical grape, Sangiovese, together with other varieties that were historically planted nearby: Canaiolo, Ciliegiolo, Colorino, Malvasia Nera, and Mammolo. A small area is dedicated to international vines, Cabernet Sauvignon and Cabernet Franc. Designed to have a low environmental impact and maximum energy savings, the winery is an unusual and fascinating structure. 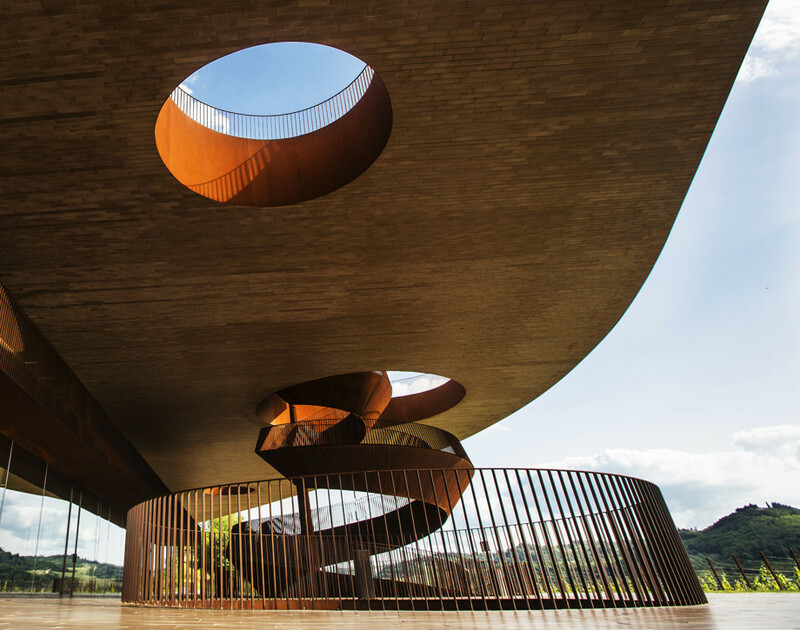 Practically invisible to the eye, the winery’s façade appears as two elegant horizontal cuts in the Tuscan landscape and its most spectacular feature is the impressive spiral staircase that connects the building’s three levels. The Antinori nel Chianti Classico winery is part of Toscana Wine Architecture, an association that unites unique and original wineries designed by famous contemporary architects. 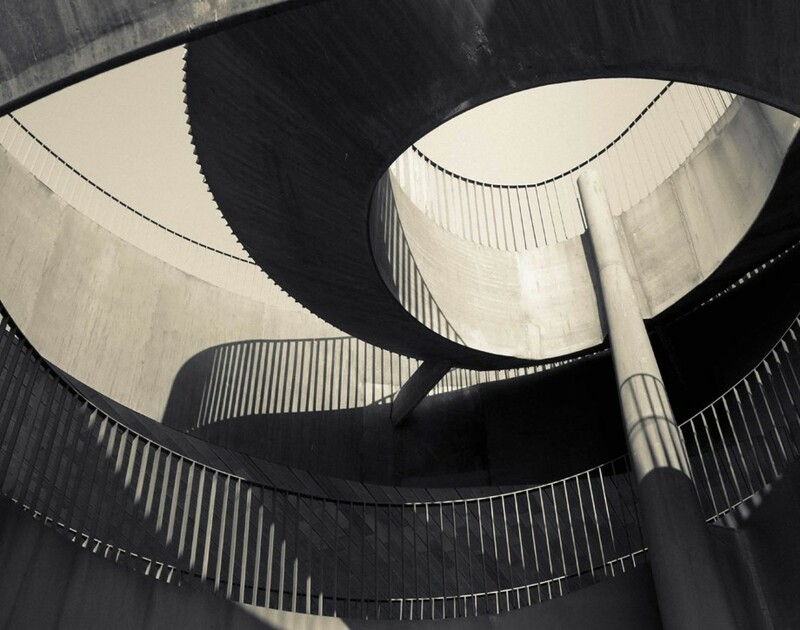 For over six hundred years, the Antinori family has linked their name to excellence in the art of winemaking and as a passionate patron of the fine arts. Marchesi Antinori have often entrusted the important task of documenting their family’s values and history to the fine arts. The family crest is a masterpiece designed by Florentine sculptor and ceramic artist Giovanni della Robbia at the beginning of the 1500’s. 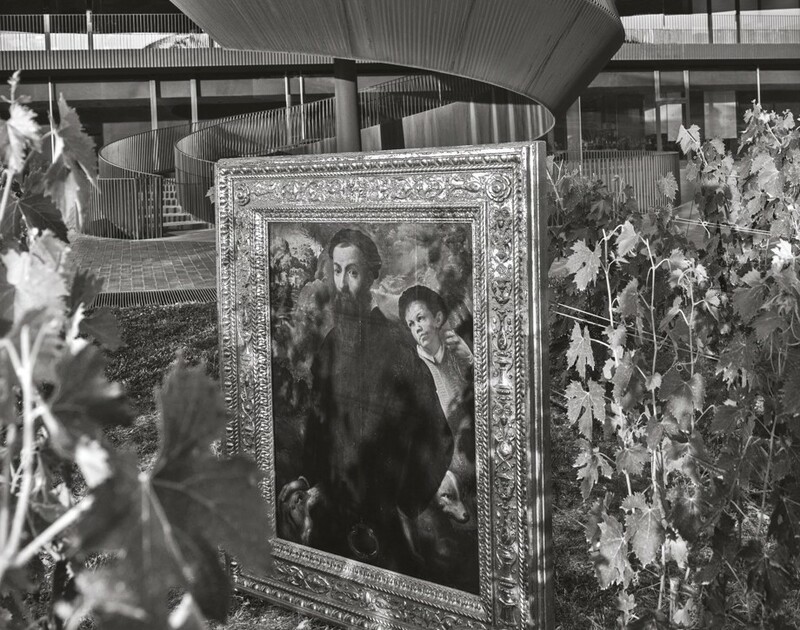 The family’s two passions are expressed and promoted by the Accademia Antinori in the field of classical art and traditions and by the Antinori Art Project, a new initiative that focuses on contemporary art, established immediately following completion of the new winery Antinori nel Chianti Classico. Choose from the winery tours available or request a personalized experience. A Journey to meet the Antinori Family. 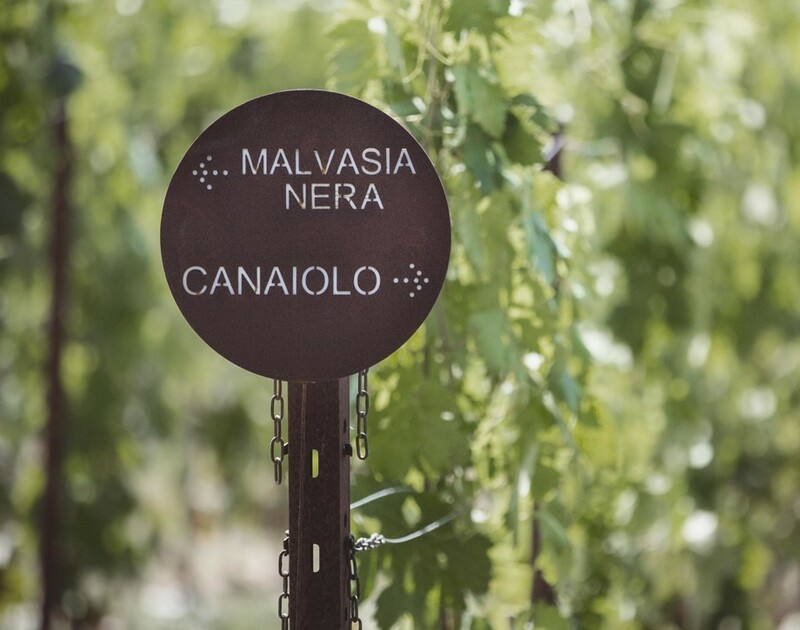 The Barriccaia visit offers guests an introduction to the world of Marchesi Antinori and their wines. 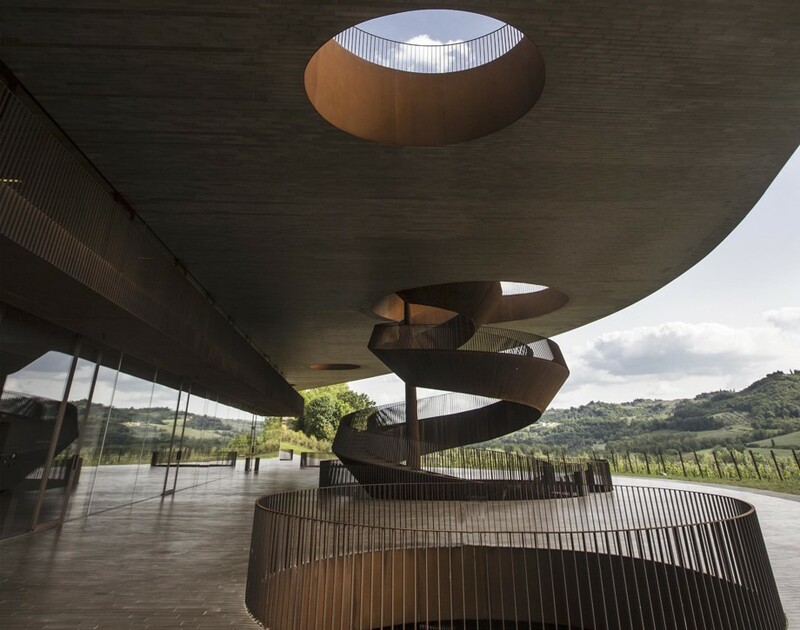 On this guided tour, visitors will gain insight into the Antinori family history, see how a wine is produced and enjoy the winery’s innovative architecture. The tour culminates with a tasting of three of estate-grown wines. Experiencing a Never Ending Passion. 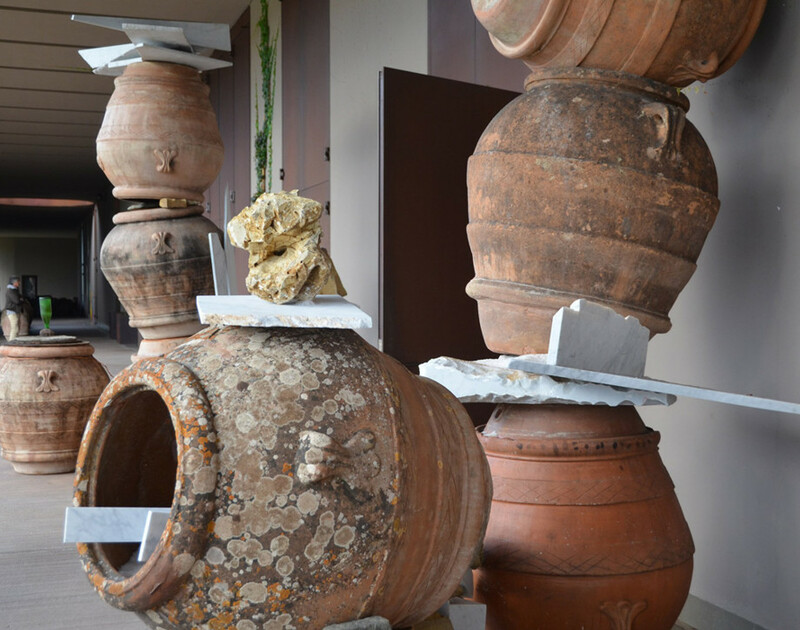 The Bottaia Tour is a comprehensive tour for wine enthusiasts who want to explore the winery’s most suggestive and unusual spaces. Visitors will be led through six centuries of Antinori family history in a multidisciplinary experience: enology, architecture and wine tasting. The tour concludes with the tasting of four wines in the suggestive suspended tasting room or in the exclusive Bottaia room. Understanding the winemaking philosophies of Marchesi Antinori. The Bottaia CRU tour is a comprehensive overview of Marchesi Antinori’s winemaking philosophy. The cellars become the ideal venue to better understand our best CRU’s, guests are invited to taste seven wines in an unforgettable experience that wine lovers cannot miss. Tasting takes place in the suspended tasting room or in the Bottaia room followed by lunch in our restaurant, Rinuccio 1180. A Winery Tour Made to Measure. A tour of our winery tailored to your specifications to help you become better acquainted with Marchesi Antinori and our most iconic wines. Marchesi Antinori has always been committed to nurturing its vineyards, its passion for the Tuscan territory and promoting and preserving the fine arts. 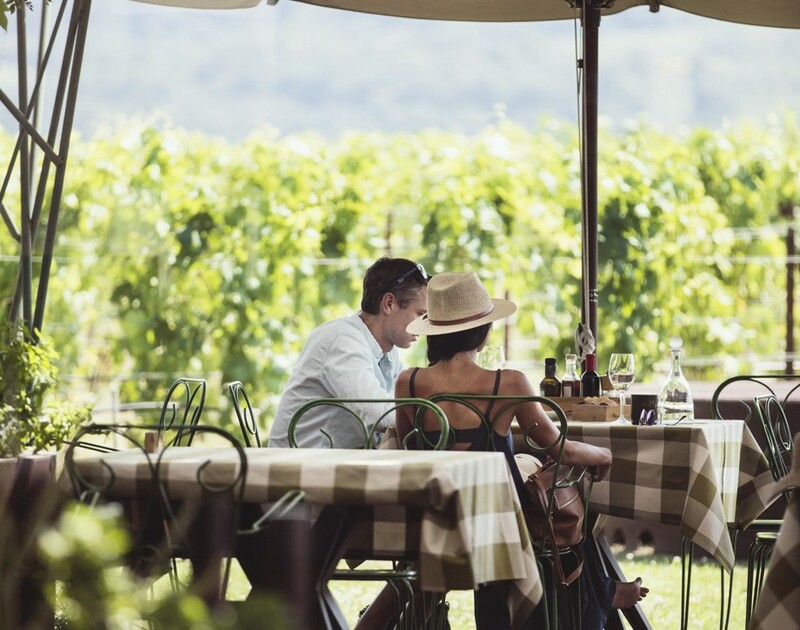 A personalized tour and wine tasting experience can be personalized exclusively for you. An emotional, enological, architectural, and artistic journey through 26 generations of the Antinori family sharing their profound passion for wine. The Shop. Specialty Wines and Estate Grown Products. 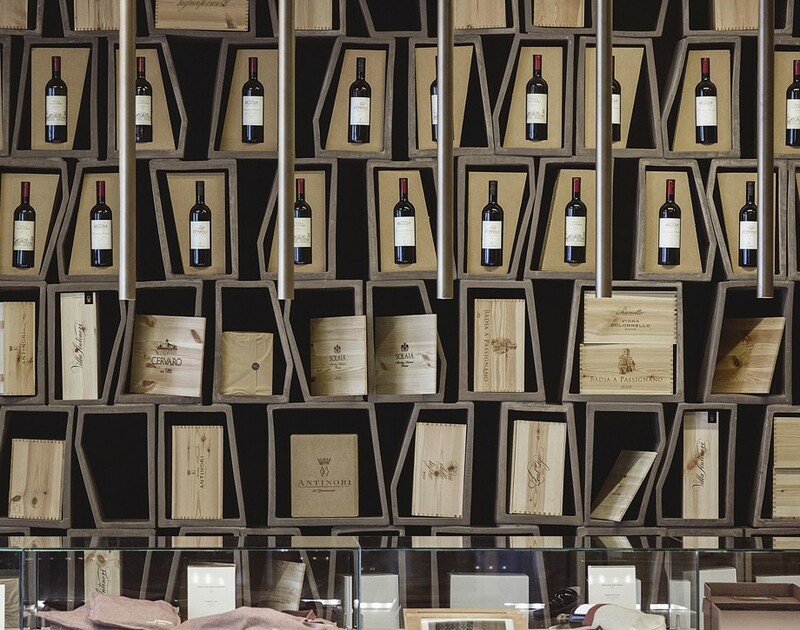 Our Shop offers a wide selection of wines produced on the Antinori family’s estates in Tuscany, in other parts of Italy and in the world. In addition, wine tasting by the glass is available. Rinuccio 1180. A Restaurant on the Roof of the Winery. 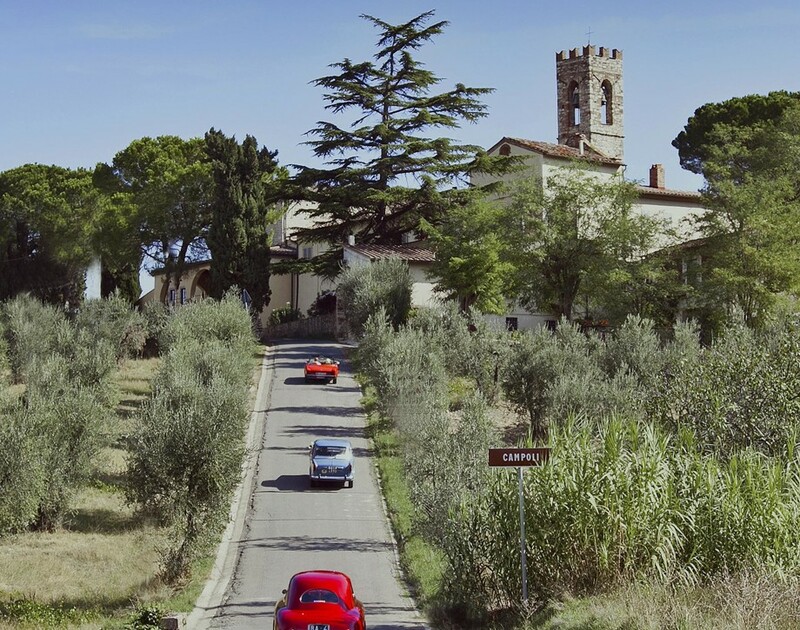 Located on the roof is the winery’s signature restaurant Rinuccio 1180, a suggestive structure with wide picture windows that gives guests a breathtaking view of the soft rolling Tuscan hillside scattered with olive groves and historic churches. The restaurant was named in honor of the forefather of the Antinori family, Rinuccio degli Antinori.